Provide comfort for the family of Gladys Winfrey with a meaningful gesture of sympathy. 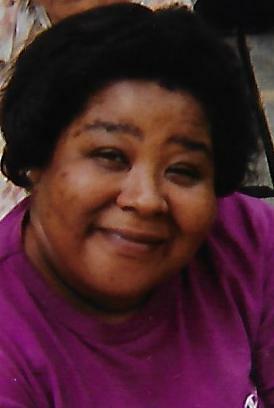 Gladys Winfrey, 61, of Shepherdstown, passed away Saturday April 6, 2019 at Clary Grove. Born January 6, 1958, she was the daughter of the late John Creamer and Margaret Strolther Creamer. Gladys is survived by one son Aaron Scott McDowell; two daughters Elizabeth and Jessica McDowell; two grandchildren Kyron Hopewell, and Tianna Clarke; four sisters Gracie and Cindy Schley, Marilynn Twyman, and Florence Derr. Family will receive friends from 10:00 AM to 11:00 AM Wednesday April 10, 2019 prior to service at Brown Funeral Home. Services will be held at 11:00 AM Wednesday April 10, 2019 at the funeral home. Interment will be private. To send flowers to the family of Gladys M. Winfrey (Creamer), please visit our Heartfelt Sympathies Store. We encourage you to share any memorable photos or stories about Gladys. All tributes placed on and purchased through this memorial website will remain on in perpetuity for generations. Provide comfort for the family of Gladys M. Winfrey (Creamer) by sending flowers.